MEMO Research delivers clinician led observational studies and streamlined clinical trials. Based in Ninewells Hospital, University of Dundee, we conduct studies in a variety of clinical fields, with particular expertise in clinical pharmacology and cardiovascular medicine. Established for over 20 years, our dynamic and responsive team incorporates a broad range of expertise to deliver innovative research. Our expanding unit includes practising physicians, pharmacists, research nurses, epidemiologists and research programmers. We specialise in creating novel research designs to answer challenging research questions. Our study designs evolve with advances in technology, regularly using innovative web-based recruitment and IT solutions to develop robust and responsive research. 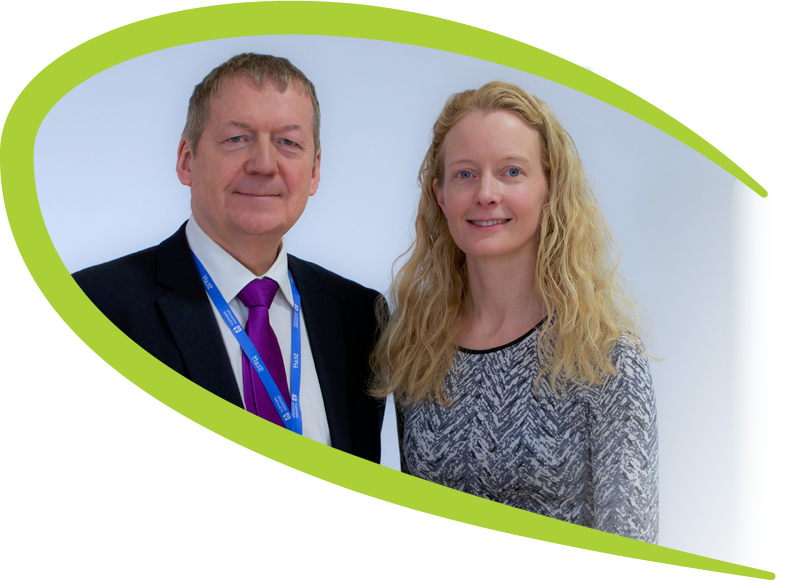 Led by Prof. Tom MacDonald and Prof. Isla Mackenzie, MEMO Research has delivered high quality research for over 20 years with two key themes: observational studies and clinical trials. Early on, MEMO developed ways to study prescribing in primary care, allowing a range of studies into the safety of commonly prescribed drugs. Since that time, we have undertaken clinical trials to further understand the safety and use of medicines. Experience of many types of research helps us to continue innovating and delivering studies which can improve healthcare globally. High quality research relies on high quality people. As our research interests and opportunities have broadened, our team has expanded to include a range of specialists with wide-ranging skills. We also have broad research and clinical interests, and have collaborated with researchers from down the corridor and the other side of the world. By collaboration and dedication our research goes from strength to strength. You help make medicines safer! Do patients with uncontrolled blood pressure respond better to a blood pressure lowering drug based on a single letter change in their DNA. Participating GP practices adopt a new drug prescribing policy for treating patients’ high blood pressure. Is it better to take blood pressure medicines in the morning or at night time? Can an old drug (allopurinol) improve the treatment of ischaemic heart disease? Is febuxostat as safe as allopurinol in the treatment of gout? The SCOT study is designed to find out if celecoxib is definitely better, worse or just the same as the other available NSAIDs. As clinical academics, our work can be influential in several ways. As individuals and as a group we have contributed to pieces of work of many types, including textbooks, although perhaps the most important products of our research are publications in peer-reviewed research journals. We publish widely on a range of research topics in high-impact journals. If you are interested in looking at some of our work, please use the links above to find out more, or feel free to contact us directly about any specific research. There is research evidence that a single letter change in the DNA makeup of an individual, can influence the level of a protein called uromodulin which is present in the urine. Whilst this has no major impact on health, slightly higher levels of the protein may make an individual more responsive to a specific type of water tablets called loop diuretics. This research project aims to test if patients with uncontrolled blood pressure on one, or more blood pressure lowering medications, may respond better to a blood pressure lowering drug called Torasemide which is a loop diuretic (water pill) approved in the UK, for the treatment of high blood pressure, but not commonly used. If you would like to know more about the UMOD study, please visit www.bhfumod.co.uk or call MEMO Research on 01382 383119 and ask for Caroline Hall, lead clinical trials nurse. The EVIDENCE study is a new type of study that uses existing NHS procedures such as prescribing policies, prescription switching, and routine administrative data collection to compare the effectiveness of two similar and commonly used medications in a far more efficient manner than a traditional randomised controlled trial. In this study, participating GP practices have agreed to adhere to a study allocated prescribing policy regarding which diuretic (water tablet) they usually use in the treatment of hypertension (high blood pressure). Patients taking these medications will receive letters informing them about the policy and telling them if their regular repeat prescription will be changed as a result. No other changes will be made and GPs will continue to be free to agree with their patients the best way to manage hypertension. The study team will then use routinely collected information about prescriptions dispensed and hospital admissions to track if one of the policies is better than the other at preventing heart attacks and strokes. If you would like to know more about the EVIDENCE study, please email memo-info@dundee.ac.uk or call the EVIDENCE team on 07712507927 Monday - Friday 9AM to 3PM. Outside these times messages left on the answerphone will be responded to the next working day. BHF funded trial designed to compare outcomes by hypertension treatment time, morning or evening. Currently in follow up. Some studies have suggested that the treatment of high blood pressure may have a different effect depending on the time of day the tablets are taken. The TIME Study is designed to explore this: study participants are randomly allocated to take their medication in the morning or the evening, and through regular online follow-up and use of health records, we can learn if either time could improve the longer-term effect of treatment, by reducing the serious problems caused by high blood pressure. The present study will try to answer this question. To do this we are asking patients who take medicines for high blood pressure to take part in a study that will compare morning dosing (some time between 6am and 10am) with night-time dosing (some time between 8pm and midnight). The big question is, would night time dosing be better (or worse) than morning dosing in preventing the bad things associated with high blood pressure (such as strokes and heart attacks)? NIHR funded study assessing the role of allopurinol for the prevention of adverse cardiovascular outcomes. Currently in follow up. Participants in this study are randomly allocated to take allopurinol (or no extra medication) to help us learn if this drug can be used to reduce the impact of cardiovascular diseases, including heart problems and strokes. Allopurinol has been used to prevent gout, a problem affecting the joints, for many years. However, a number of studies have suggested that it could also have a role in improving other aspects of health. The ALL-HEART study aims to understand how patients with heart disease could benefit from taking allopurinol as an additional treatment. An EMA required RCT comparing the cardiovascular safety of two gout treatments. Currently in follow up. The FAST study has recruited Gout patients over the age of 60 who are already taking the most common medication, allopurinol, to find out if it is safer, less safe or just as safe as a newer drug, febuxostat, in the longer term. The results will be of great value to everyone who takes these drugs on a regular basis. It will help doctors treating gout in these patients to make the best choice of medication. An EMA required study of the cardiovascular safety of celecoxib compared with standard care in the treatment of arthritis. Results reported. The results of the SCOT study will help doctors to make the best choice for people with arthritis, not just for their joint pains but also for their general health.